Dubai is known for providing one of the world’s best opportunities for investors and traders. In this regard, Dubai is not only the best in UAE and the whole Middle East region, but also has a prominent place on global level. Dubai favors large number of business activities for local and foreign investors. An important business activity that has large scope in Dubai is related to different products. 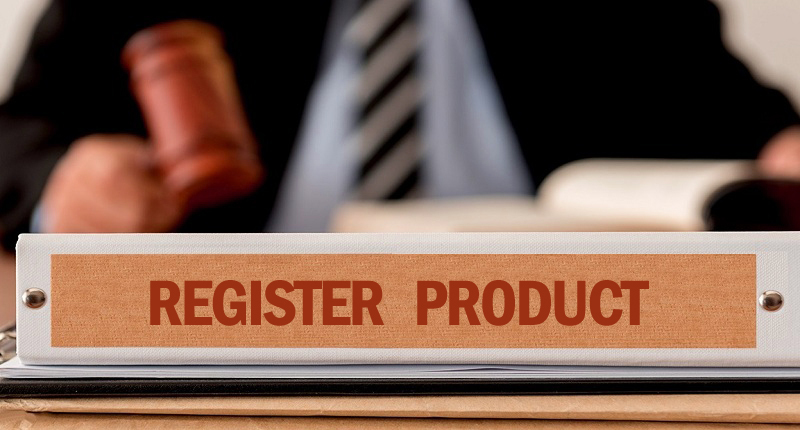 Product registration is a comprehensive process that is carried out by relevant authorities in Dubai in order to ensure the quality and safety of any product. Completing this process is mandatory for traders before they can import, manufacture and sale their products in Dubai or re-export them to other countries from Dubai. The procedure of product registration requires submission of several documents while there are several authorities take part in this process. The most important one is Dubai Municipality (DM) that is required for registration of majority of products. There are other departments as well for registration of specific products. The government has allowed investors to import, manufacture and sell various types of goods in Dubai. But the government also wants to ensure that all the residents of Dubai (citizens and expat) purchase only best products in the city free from any type of contamination and fraud. To achieve this purpose, there is a complete procedure to follow for any company to register its products in Dubai. This product registration process has allowed the entrance of only best products in Dubai of highest standards while this systematic procedure makes it easier for authorities to curb the entry of banned or illegal products in Dubai. As there are lots of businesses allowed to be established in Dubai and there are several products required by residents. Therefore, in order to provide all necessity items to these businesses and residents, the government of Dubai has allowed the registration of various types of products. This registration process is mandatory before launching a new product in Dubai. The procedure and documentation of these different items may be different and the merchants may have to consult different types of authorities for their particular registration process. Following are important types of products that are required to be registered by relevant authority. Registration of a product in Dubai provides exclusive advantage to merchants as their Dubai registered product will automatically be qualified for the whole GCC region. There will no further requirement to register that product in any other GCC country separately. There are certain rules and regulations designed for registration of all these products. Items like food materials, medical appliances and cosmetics are related to health of users. It is the reason that there is a specific standard set for registering these goods in Dubai. The purpose of these restrictions is to limit the production and import of items that can be dangerous or harmful for common people or environment. It is the reason that several kinds of food colors (Yellow 2G, Fast Yellow AB, Patent Blue V etc. ), food additives (amaranth, potassium bromate), certain chemicals used in cosmetic products, clothing materials contaminated with unsafe amount of pesticides etc. are strictly ban in Dubai. As there are different types of products that can be registered in Dubai, so the procedure for their registration may be different. Also, the registration authority and its procedure may be different in case of different types of products registration. Following are important departments that register products in Dubai. Dubai Municipality (DM) is the most important registration authority for product registration. It has to be consulted and required for registration of all types of products in Dubai. Food products registration, health supplements registration and cosmetic products registration in Dubai Municipality are few examples of the role played by Dubai Municipality regarding product registration in Dubai. Likewise, the documents required to register a product in Dubai also depends on its type. There are few documents that are similar for all types of products while various industries may require submission and approval of specific documents for their goods according to their specific requirements. In case of registration of an imported product, documents are also required from the country of origin. These documents will be attested by UAE embassy. This is a lengthy and difficult procedure to register products in Dubai. The government is also trying to minimize problems of investors and traders for product registration. It is the reason that important information and few procedures are available online.